Food Rack: A Quick & Healthy Breakfast!!! A Quick & Healthy Breakfast!!! I have always love cooking but the worst part of the whole process is deciding what to cook especially when it comes to breakfast. Though we have various options to cook but time is something which we are always short of. So here I come with a recipe of a quick and very healthy breakfast. Wash the Moong ki dal thoroughly and drain the water out. Put the vessel on the gas, put the oil & add the Jeera, heeng & garam masala to it. 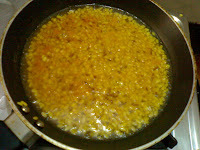 As the jeera starts spluttering add the washed Moong ki dal and salt to taste. Add water & the quantity should be such that it covers the daal, as the water comes to a boil slow down the gas, cover the vessel but remember to leave half an inch space open & let the daal cook. 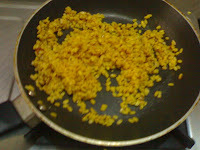 After some 10 mins check the state of water & daal; in case you feel that daal is not cooked you can add a bit of water. It would take some 15 mins for the thing to get cooked. Once that it is done switch off the gas and let the thing cool down. You need to remember that too much water spoils the whole thing and gives it a look of khicdhi so be cautious on that front. Serve the daal and garnish it with onion, tomato, chilly, coriander & lemon juice. You can even add some namkeen to add taste to it! Alternatively you can also soak the daal for half an hour but then when you cook it would need less water. This is my favorite breakfast for the days when I am in a hurry, the fact that it is healthy is an added advantage! awesome u have it jut like that but what abt the cereal? may be add some soya/rice flakes to it in the end. Sounds simple and interesting. Aaj sunday hai, try karte hain. Lovely..its too resisting..i will surely try making it..thanks for giving in such a good recipe.. Above the preparations steps are nice. I enjoyed to eat this recipe. Hey.. you have good a preety nice variety.. do update this space.. Thanks for presenting this healthy Breakfast recipes. Yummy and fast!! No head ache breakfast!! 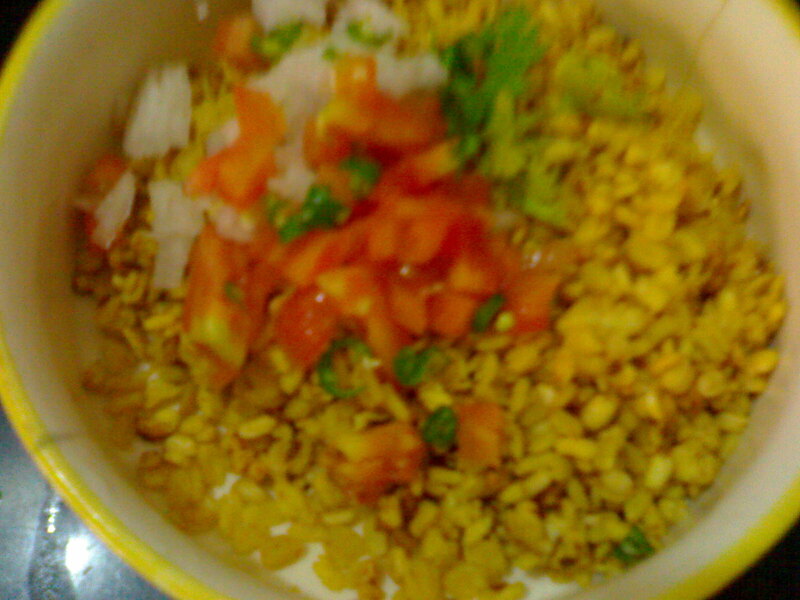 Looks like bhel.. tempting!! You should blog about such tips more often.